You must care for your commercial roof to ensure that it lasts its entire expected lifespan. Leave repairs to the pros, but let your building personnel handle basic issues like removing debris buildup. You or someone on your team should perform cursory evaluations, especially before and after storms to spot damage early on. When a problem is discovered, call in a qualified professional to fix it immediately. It’s imperative to restrict access to your rooftop, especially when its covering isn’t designed to withstand the rigors of regular foot traffic. While it’s improbable to keep every individual from getting on it forever, create a written policy to help authorized personnel observe best practices. Any experienced commercial and residential roofing specialist would say that having a log is important to keep a record of all activities conducted there. Collect all of your roof’s documents in one location. Make sure they’re accessible by key individuals, specifically those that monitor the health of your roofing system. They, including yourself, ought to be acquainted with your roof’s maintenance schedule and the contents of its warranty. Such papers are also useful for insurance purposes. Hiring a qualified contractor for roof repair projects is one thing, but using the services of the same qualified contractor is another. Building a relationship with a roofer comes with many advantages, and familiarity with the system is one of them. Besides, a good business relationship is worth nurturing once you have found a reliable contractor. 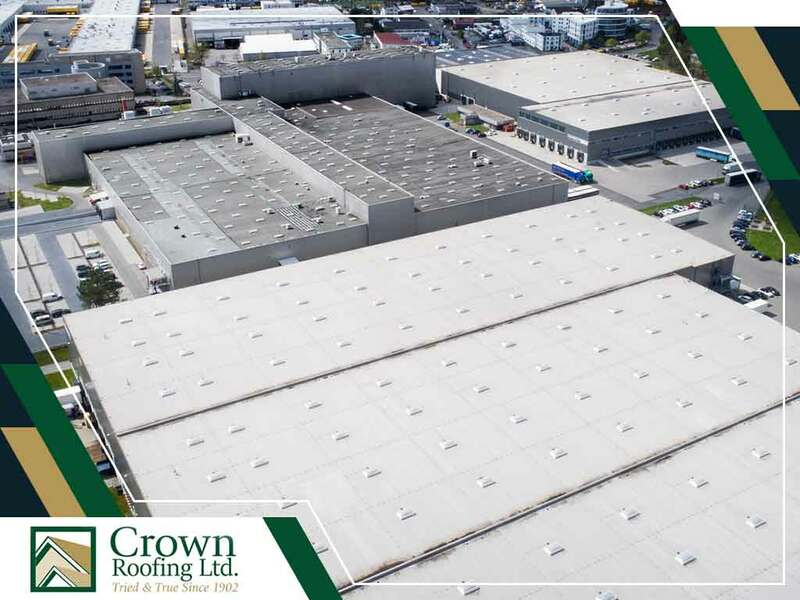 Crown Roofing LTD. has more than 110 years of experience in the industry. Whether you need emergency repairs or scheduled inspections, you can count on our proven expertise and well-established, good reputation. Call us at (604) 210-6655 now to set up your roof evaluation in Vancouver, Surrey or any neighboring community, and get a free estimate.